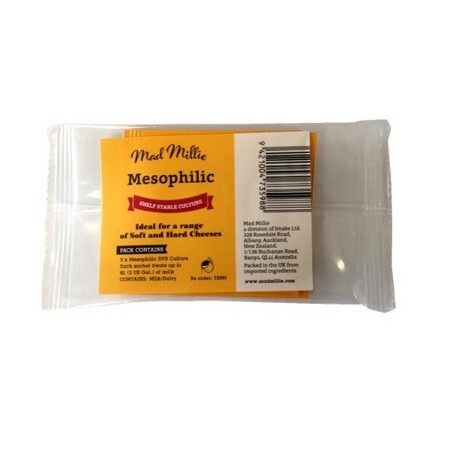 Mad Millie's Mesophilic (MW3) is a freeze dried culture, which contain special strains of Lactococcus lactis subsp. cremoris and Lactococcus lactis subsp. lactis. Each sachet contains enough culture for 8 litres of milk. Activity = 2.4 U.
Mesophilic (MW3) is a freeze dried culture, which contain special strains of Lactococcus lactis subsp. cremoris and Lactococcus lactis subsp. lactis. Each sachet contains enough culture for 8 litres of milk. Activity = 2.4 U. 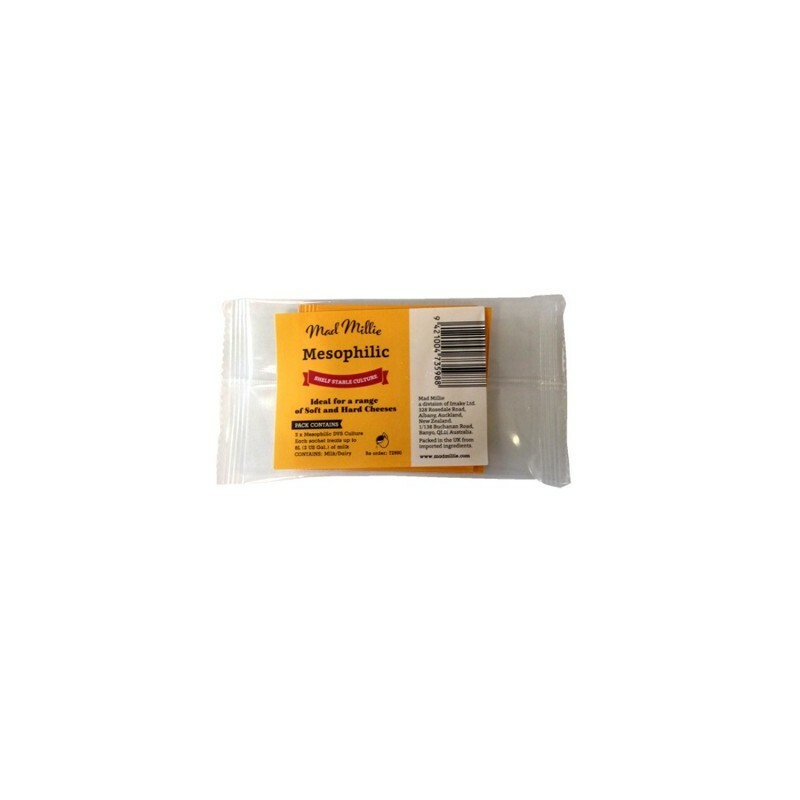 For best results, stir sachet content directly into 8 litres (2 US Gal.) of milk at the time and temperature stated in your recipe.